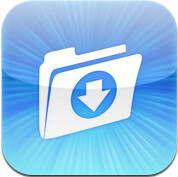 Filer (iPhone.iPad) - Best way to view, manage and share your files ~ Android Forever! 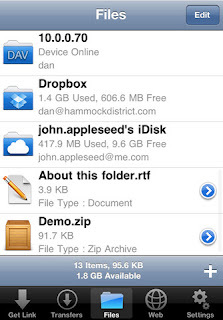 Developer Quote: "Dropbox/iDisk/WebDAV, Background DLs, and More"
☆ Open files into other apps like iBooks, Pages, Numbers, Keynote. ✓ Unarchive RAR, ZIP, TAR, and Gzip Archives. Filer - Dan Leehr L.L.C.